Celts in Europe – Was it really so awful? As a dejected Celtic side trudged off after a 6-1 skelping against the majestic Barcelona, Hoops fans voiced their anger and frustration at what many of them judged to be an inferior and lacklustre performance by their heroes. Now that the dust has settled, was it really so awful? Both in terms of the performance on the night, and the effort given in the Champions League overall? True enough, Barcelona demolished Celtic. Not since 1965 have Celtic conceded six goals in a single match; but on the night, what could have been done to stop the rampant Catalan side? Twitter, Facebook, and football phone-in frequenters were aghast at Neil Lennon’s team selection, (after the match of course). What a fine thing hindsight is. The most frequent questions asked circulated around the omission of Charlie Mulgrew, Kris Commons, and Anthony Stokes. I’m sorry, but does anyone really believe that the inclusion of any of these players would have reigned-in the likes of Xavi and hat-trick-hero Neymar? Celtic were played off the park, in every area of the park. Surely there’s no permutation of Neil Lennon’s current Celtic squad that could’ve changed the outcome of the game? The fact is, when Barca set the heather alight, the best teams in the world struggle restrain them. If we’re truly honest, Celtic have rode their luck against Barcelona pretty much every time they’ve come up against them in modern history, even when they’ve managed to beat them. Particularly in the last handful of fixtures between the clubs, Barca have had the lion’s share of chances and territorial possession. Brave, resilient performances from Celtic have helped keep these matches tight, with any defeats being inflicted by the odd goal, but given the gulf between the sides and the control held by the Spanish giants, a heavy drubbing was always a possibility. The expectation of Celtic fans is for their team to play well, contest every game, and win in style when it’s humanly possible. To achieve what they have in recent times in the Champions League is formidable. As much as this season’s Champions League campaign could be viewed as disappointing, Celtic have in no way been humiliated, when compared with the other teams that finished bottom of their group in the competition. Marseille, Copenhagen, Anderlecht, CSKA Moscow, and Real Sociedad for example all finished 4th. Nobody would dispute that these sides are major European entities, so there’s no shame in suffering a similar fate to them. Although Celtic have previously reached the knockout stages, to do so this year seems to require major financial clout. When we compare Celtic’s first team wage budget to some of the sides that topped their groups, we begin to understand the David v Goliath nature of the task they face. Celtic pay just over £300,000 every week on wages to their squad. This is by no means miserly, but Borussia Dortmund (top of Group F), pay almost three times as much. Chelsea pay more than six times more than Celtic in terms of wages, and Barcelona pay an astonishing, 11 times more than Celtic. Perhaps a shift in mentality from the fans is required. Sadly, Celtic can’t be the world-beaters they were in the 60’s and 70’s. Since then it’s been a rollercoaster ride. For every triumph against Man Utd, Juventus, and Barcelona; there’s been an implosion against Neuchatel Xamax, Wacker Innsbruck, or Artmedia Bratislava. Celtic are operating well on and off the field at the moment. A few key signings could give them the edge and excitement they long for. Ok, they won’t win the Champions League anytime soon, but 99% of clubs in Europe are in that same boat. Crack a smile Hoops fans; your team are cruising to another league title, competing in Europe every year, and living within their means. There’ll be ups and downs; good times and bad. Sit back, and enjoy the ride. Do Pukki and Balde just need games? As Celtic crashed out of European football this week, much was made of their sloppy defending on the night; but the real issue throughout the campaign has been the lack of firepower in the final third. Just two goals in their five group games is a worrying stat. That worrying stat becomes an alarming stat when you then remember that one of those goals was a penalty, and the other was a deflection. Whichever way you look at it, Celtic’s attacking presence has been sub-par for the Champions League. After losing Gary Hooper in the summer, Neil Lennon knew he needed to sign at least one striker. He secured two, Teemu Pukki, and Amido Balde. Neither player has had a great run of games. They’ve both looked off the pace, and bereft of a killer instinct in the penalty box. This is undeniable, but would a significant run of games in the first team have changed things? The pressure to succeed at big clubs is huge, and Celtic are no different, but players are only human. It must be difficult coming in from a foreign league and being expected to start rattling in the goals. Admittedly, some players can do it, but others struggle. One example of a Celt that took a bit of time to settle rolls of the tongue, John Hartson. The big Welshman came to Celtic with a top pedigree, but he too looked out of sorts at the beginning of his Celtic career. Remarkably, it took Hartson 11 games in a Celtic jersey before he found the back of the neck. He then went on to become a legend and a hero for the Parkhead club. Hartson started each of these 11 games, and his then manager, Martin O’Neill, put faith in the signing he made in order to succeed. To directly compare Pukki & Balde to a class act like Hartson verges on unfair, but perhaps the issue of faith in your signings does ring true. Since signing back in August, Pukki has started 9 from 16 games, and Balde has started just 2 from 18 games. From that you could assume that Balde has some way to go before he’s a first team regular, but even Pukki, with significantly more appearances, didn’t get a run of games longer than 4 games, and most of the games he missed have come in the Champions League (the very place he was signed to make a difference in). Instead, Lennon has opted for the likes of Georgios Samaras, who despite his tenacious attitude, is a left-winger rather than a striker; and Anthony Stokes, who struggles at the highest level. The Celtic boss seems frustrated with his options, and he’s clearly unimpressed by his summer signings in that department. “When the squad’s not as big as some other squads it does tend to bite you. Celtic can’t go and sign a £10m-£15m, it would make no financial sense, so to try and make the most of a £2m-£3m player is the trick. There are alternatives. Putting faith in youth, or in domestic signings (would the likes of Billy McKay or Nadir Ciftci really do any worse for Neil Lennon than any of his current crop?) are always options. Only Lennon will know how he truly feels about the likes of Pukki and Balde. Only he will know in his mind whether he feels any merit in giving them a run of games to prove themselves, or whether they’ll be consigned to the room 101 of Celtic signings. Did an early exit from the Old Firm goldfish bowl help his development? Result apart, there were few positives to be taken from Scotland’s 1-0 away win against Norway earlier this week, but few could dispute the plaudits received by David Marshall for his heroics between the sticks. A string of terrific saves, and an overall competent performance secured a clean sheet for Strachan’s resurgent Scotland side, and has further cemented the general opinion that Marshall has become a top goalkeeper. It’s a far cry from the shaky teenager that emerged in a Celtic jersey in 2004 in the most bizarre of circumstances in the Nou Camp. That night against Barcelona, presumably running on adrenaline, the young ‘keeper gave the performance of his life, and replicated the feat in the home leg to help Celtic knock-out the Catalan giants. Things at Celtic quickly went sour for Marshall. Conceding 5 against Artmedia Bratislava, and 4 against Motherwell in quick succession left then Celtic manager, Gordon Strachan, of the opinion that Marshall was surplus to requirements. 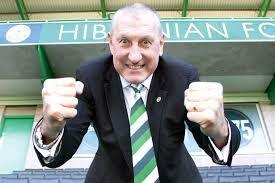 How ironic now that Strachan is the man to thrust Marshall back into the limelight on the international scene. Marshall has now secured two consecutive clean sheets for Scotland, and has been at the heart of a robust Cardiff unit in the English Premiership. The development in the keeper, who’s still just 28, is remarkable by comparison to his Celtic days. I’m sure many football fans back in 2005 would’ve written Marshall off as a sub-standard keeper, but is that a failing of the pressures attached to being thrown into the Old Firm goldfish bowl at a young age? The pressure to perform without any modicum of weakness or nervousness for Celtic has proven to be the undoing of many players over the years. When Marshall was cast off to Norwich to carve out a career in England, few expected him to re-emerge as a contender for the Scotland jersey. Years of developing his game in the English Championship in his early 20’s was arguably the best thing for him. Playing for Norwich, in such a competitive league, where there was no expectation of a clean sheet every week, perhaps allowed Marshall to develop naturally, at his own pace, and fulfil the potential that Celtic identified in him as a lad. He’s now approaching 150 appearances for Cardiff, through the good times and the bad. He’d never have been allowed that development time at Celtic, so should Celtic be factoring in long term outbound loan deals when developing youngsters? The Marshall case backs this theory, and perhaps there are other examples too. Charlie Mulgrew’s story echoes this idea. Mulgrew left Celtic as a rough-around the edges 20 year old who wasn’t good enough to hold down a first-team slot. To keep him in the squad for 4/5 years beyond this in the hope that he comes good would be folly, but look at how things have panned out. Mulgrew spent a handful of years playing first team football at Dundee United, Wolves, Southend and Aberdeen, before returning to Celtic as a completely different player. Just under 5 years of first-team football, cutting his teeth, has helped Mulgrew become an accomplished professional, worthy of being a Celtic and Scotland regular. There are so many examples of promising young former Old Firm players who disappeared off the radar, that a longer, or more complicated development period is surely something worth considering. Sometimes throwing a youngster in and expecting a hero to emerge is asking too much, even in the idealistic world of the Old Firm fan. As football grows and develops, we can expect approaches to player development to grow and develop too. Surely it’s worth reviewing this process to maximise the potential of players, both for the good of our game on the domestic, and international front? Tel looks bound for the capital, but is it the right move for him? In stark contrast to the sentiments expressed by the man last week, Inverness Caledonian Thistle manager Terry Butcher looks set to become the next manager of Hibernian. It appears the old cliché, “a week is a long time in politics”, also rings true for the beautiful game. Widespread reports have connected Butcher with the Hibs job, and the media juggernaut appears to be gathering momentum on this matter. Given the troubles and inconsistencies that Hibs have faced in recent years, it’s widely agreed that a manager who’s as capable as Terry Butcher would have a positive effect, and could steady the ship at the Easter Road. The reasoning for the approach by Hibernian is clear, but the appeal of the job to Terry Butcher, for me, is less apparent. 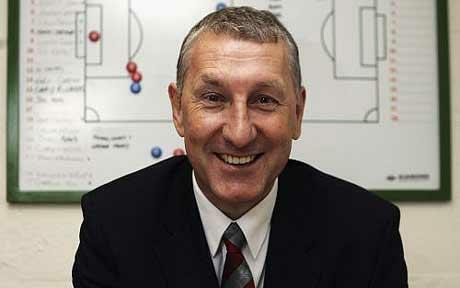 Terry Butcher’s Caley Thistle side are flying high. They finished 3rd in the SPL last year, and are challenging for 2nd place this year. If Butcher could guide Inverness to a 2nd place finish, he’d be engraved into Highland folklore for generations to come. Given the lack of funds he’s had at his disposal, his achievements are nothing short of remarkable. Surely Butcher can do no wrong if he stays where he is? Even if Caley Thistle slipped to mid-table mediocrity, he’d be unlikely to come under any major scrutiny, and would still be regarded as a top candidate for future roles thanks to his past achievements. The charismatic Englishman would be unlikely to be given as much leeway if he makes the switch to the capital. 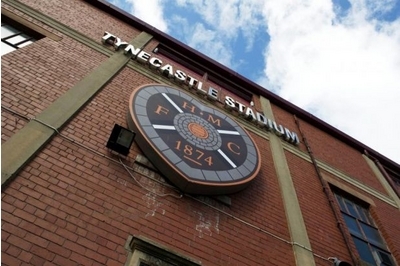 The expectations at Hibs are high, given the stature of the club. For some reason or other, they’ve consistently underachieved, and the Easter Road hotseat has become something of a poisoned chalice in recent years. Hibs have gone through 6 managers in 8 years. Butcher would seriously have his work cut out for him to buck the trend and deliver success there. Perhaps that’s the lure for him, to take a club on its knees, and transform them into a tenacious outfit, capable of challenging for honours. Perhaps he wants to prove that his success at Inverness Caledonian Thistle hasn’t been a fluke? The money Butcher would get to spend at Hibs will be only fractionally greater (presumably) than his budget at Caley Thistle, with almost instant results demanded of him, and the overbearing character of Rod Petrie looming over him, potentially encroaching on his decision-making power at the club. Any success at Hibs would be as remarkable as anything he’s done at Caley Thistle, yet he could possibly receive less praise there, given the expectations of the club. What’s the end game for Butcher? What’s his overall goal as a manager in Scotland’s top flight? It’s a fair assumption to make that it won’t be to win the title, given the current gulf between Celtic and the rest of the pack, so is his ultimate goal to guide a club to 2nd place? If so, then surely staying at Inverness, a team he’s spent years fashioning into an effective unit capable of challenging for such a position, would be a better bet. Does he eventually want to make the leap to the English Championship? Again, if so, why not stay with Inverness Caledonian Thistle? Surely guiding a smaller club to 2nd or 3rd in the league would be perceived as a greater achievement than securing those positions for a bigger club like Hibs? Barnsley came knocking for Butcher last year and he decided against it. If England is where he sees his future, then perhaps he sees it at a higher level than that of Barnsley. Given what we know of Terry Butcher’s character, money would be unlikely to be the catalyst for any move in his management career, so the lure of a bigger challenge, at a bigger club, is widely regarded as what’ll see him make the switch to Hibernian. The big Englishman have everyone on the edge of their seats as we await his decision on where his future lies. 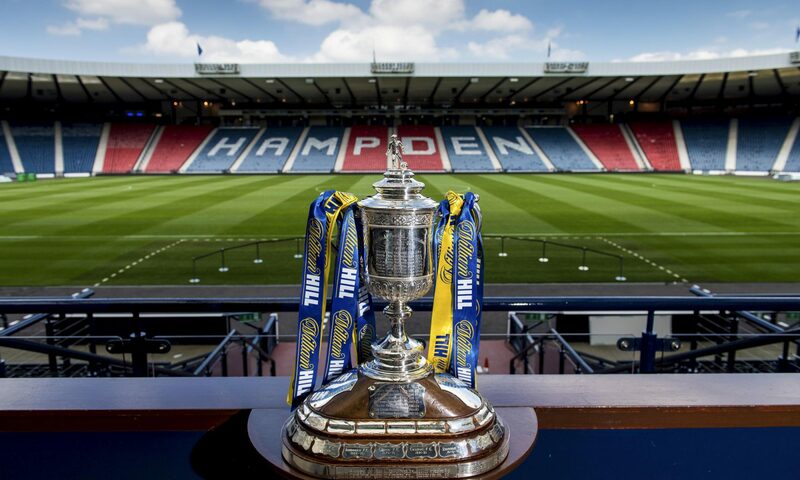 As chance would have it, Butcher’s Inverness Caledonian Thistle side will take on Hibs on Saturday. Rod Petrie and the Easter Road faithful could experience first-hand, the strength and organisation that Terry Butcher brings to a team, and the Highland club could be taking one last look at the greatest manager they’ve had in their brief history so far. Where will Butcher be managing this time next week? Only time will Tel. 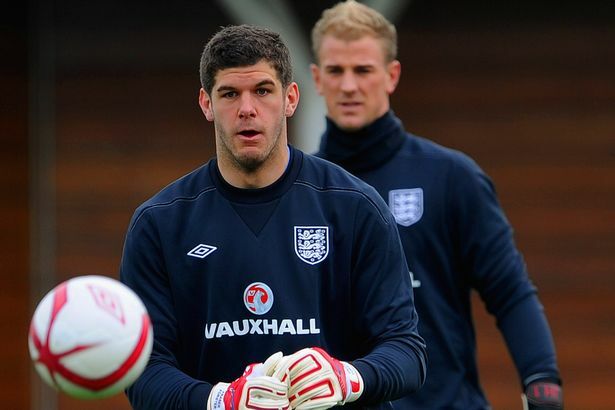 Does Roy Have the Hart to Pick Forster? Manchester City and England’s no.1, Joe Hart, added to his CV of calamity at the weekend by dropping another high profile clanger to gift Chelsea a late winner in the English Premier League. All the while, Celtic’s man between the sticks continues to cruise through matches at a domestic level, and attract plaudits from all over Europe, most recently for his heroics against AC Milan, Barcelona, and Ajax. What’s wrong with this picture? Well, for starters, Forster still seems to be about as far away from an England cap as ever. The question is why? Surely it’s not a simple case of ignorance towards a top athlete because of the league he’s playing in? Roy Hodgson’s England side have been uninspiring, although admittedly still churning out results in the qualifiers. Lapses in concentration from Joe Hart have historically put England under pressure, and given his current form, is it wise to trust a shaky pair of hands going into Rio 2014? Who could forget his blunder against Scotland just a few months ago? His fumble against Southampton back in February? His corner flap to give Cardiff their first win over City in August? Or his misjudgement against Bayern Munich earlier in the month? Any notion of replacing Hart was unthinkable last season, but suddenly the recurring errors have led to more than a few whispers of a less than guaranteed no 1 England jersey and on club form even Manuel Pellegrini is fighting to come up with excuses for Hart in the City goal. In terms of realistic options for England, they have but three. John Ruddy, Ben Foster, or Fraser Forster. Three top goalkeepers, that much is clear, but for some reason Forster feels furthest away from the no.1 jersey. There’s only so many times Forster can come up trumps in Champions League games, only to be fed lines like “we’re impressed with Fraser, and are watching his development.” Soon a time will come when the England manager has to come off the fence and make a call on his ability. 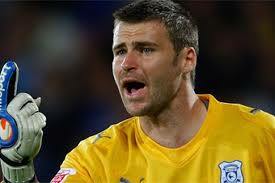 To choose Forster above any of the other potential suitors for the England no.1 jersey would be a brave decision. Elements of the English media and support believe their league to be the best in the world, so much so that to opt for a ‘keeper playing in Scotland would seemingly verge on an insult. Forster has a proven big game mentality, and at just 25 years of age, has a good decade of top level football in him. Neil Lennon backs his goalkeeper to the hilt, and openly admits, “it’ll be impossible to keep the player here when he’s performing like that”. Spanish star Xavi has also spoken of his admiration for the 6ft 7inch goalkeeper. The Barca talisman said: ‘I can’t say that I watch him every week – but when we have played Celtic he has shown that he is a world-class goalkeeper. All interest now turns to England’s upcoming friendlies with Chilie and Germany in November. The squad will be confirmed in the next few days, and given the non-competitive nature of the fixtures, Hodgson will never have a better chance to call-up or feature Forster, with little or nothing at stake.